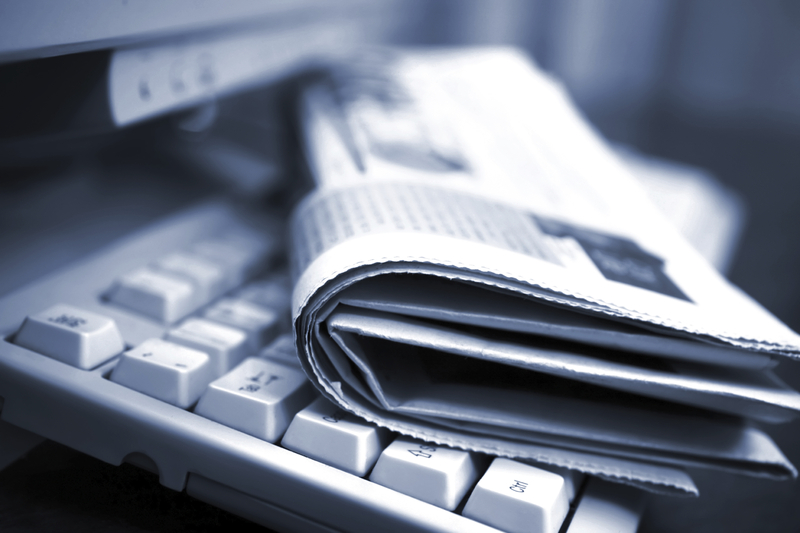 Cohn says journalism values for the web are quickly merging with those for print. To which I say: Amen, brother. If all of us as journalists are not already consistently writing, proofing and source-attributing online copy with a comparable level of care and detail that we give to print, we should be making plans to do so soon. Online Design. “As recently as five years ago,” Cohn writes, “the web was mostly about text.” But today, urged on by multimedia presentations like the New York Times’ now-legendary and award-winning “Snow Fall” feature, “enterprising treatment in the service of storytelling, once the province of print, has edged into the digital mainstream.” A big shout-out for the emerging visual web here. Text by necessity was the initial backbone of the early Internet – in fact, its entire search function is based of course on semantics – but with virtually every web user now on a big-screen monitor or laser-sharp smartphone or tablet display, you appreciate those images. And even better when those visuals are animated – a big edge over print. And this to me is how beyond-the-news media organizations compete with the minute-by-minute global spew of rip-it-and-read-it news bulletins: When a million Lilliputian websites can echo in seconds a dispatch from the (free) global news syndicates, the answer is not just to do the same – or worse, to turn a media organization upside down in a remaking as a daily news producer. The answer, as always, is to create that valuable angle or analysis or context to a story that simply can’t be found anywhere else. 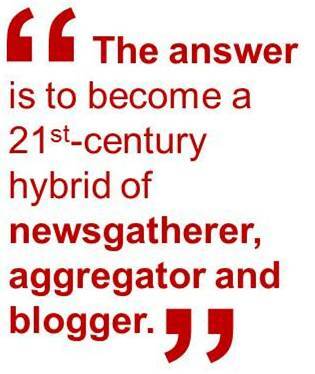 The answer is to become a 21st-century hybrid of newsgatherer, aggregator and blogger. Yes, content is king – and so is originality. Back when the Internet first collided with media it was fashionable to note that “this changes everything” – that online publishing would be a whole new animal of a different stripe. But did it? And is it? Completely? Cohn notes that at the Atlantic, “digital writers are doing stories for the monthly magazine; print editors are running web projects.” More and more the same thing is happening in media organizations everywhere. Methinks that no matter what the delivery “substrate” – whether wood pulp print or quartz computer chips – good journalism is good journalism, helpful context is helpful context, quality content is quality content. And that should gladden the heart of any content producer – print and/or web.